Continuing my series of photo blogs on houses of worship, I share a photo that is one of my most recent, but one of my favorites. 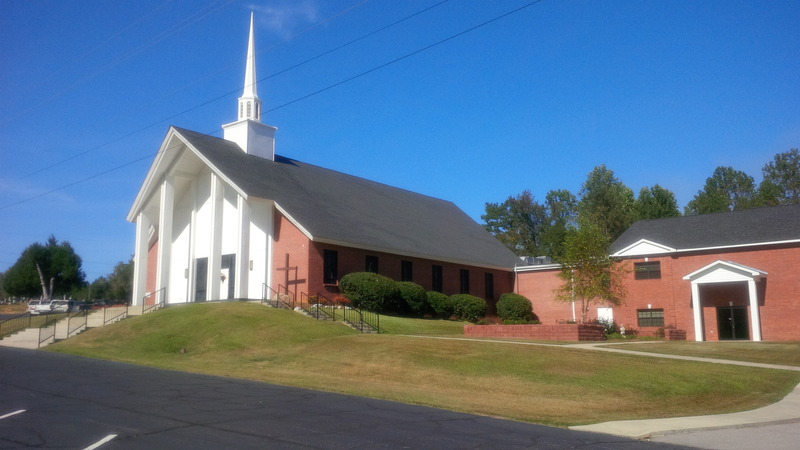 Providence Baptist Church is an historic congregation that dates back to 1818, yet this church in rural Forrest County, north of the city of Hattiesburg, Mississippi, has a worship center that blends the classic and contemporary. On the classic side, there is the red brick and columns in front, with a white steeple. But the high pitch of the roof in front that juts forward, and the columns rising to meet it, give just the right contemporary touch. Add to that the curb appeal of a country church standing proudly on a hill, and this church building is an amazing eye-catcher. Recently, Outreach magazine published its list of the 100 largest churches in America and the 100 fastest-growing churches in America. But when we read about the church in the New Testament, we do not find a list of fastest-growing churches. Not many numerical reports are even given, other than the 3,000 baptized at Pentecost (Acts 2:41) and the fact that the number had grown to 5,000 a little while later (Acts 4:4). After that, numbers are rarely given. We don’t read Paul reporting to the church that when he left Ephesus they were running 200 in Sunday worship. Instead of talking about numerical growth, he emphasizes spiritual growth. So why don’t we? It’s time to change our terminology. Instead of so much emphasis on church growth, we should talk about church health. So what makes a church healthy, anyway? Paul gives us a full description in Ephesians 4:11-16. Healthy churches have leaders who equip their members. The best test of the leader is that he has followers who learn from his teaching and example. Healthy churches have leadership that inspires the overall congregation to follow Christ and serve their community. Pastors (translated “shepherds” in the ESV) bring guidance and comfort to the flock of God. Teachers instruct the church in correct understanding of the Bible and Christian living. Notice in verse 12 that these leaders have the purpose of training, or equipping, the church to do their work. If a church is going to be healthy, it must have a pastor/teacher who is feeding the congregation God’s Word on a consistent basis. Healthy churches have members who serve. Don’t join this church to sit back and be entertained. If that’s what you are looking for, please go somewhere else. We need members who serve. The “saints” are all the believers. “Saint” means a “holy one,” and every believer is called to be holy and set aside for God’s service. It says the saints are trained by the leaders so that the saints can do the work of the ministry. So all members are called to serve. Rick Warren asks, “If you are not involved in service or ministry, what excuse have you been using? Healthy churches have members who serve. Healthy churches are united. Unhealthy churches are divided. Notice the two ways he says we are to be united: by doctrinal faith (“in the faith”) and by personal faith (“and in the knowledge of God’s Son”). I heard about a pastor who was called to a church with only 51% voting in favor of his call. A year later, they fired him. It was a unanimous. The pastor said, “I finally united the church.” Of course, that’s not the way we want to unify the church, but the church does need to be united. Remember the lesson from Noah’s Ark. It may stink sometimes, but we have to stay together, because we’re all in the same boat! Too often, churches measure themselves by numerical growth. And it is true that healthy churches should have numerical growth. However, there are churches that have numerical growth but they are not healthy. A tumor can grow, but it isn’t healthy. And some churches explode and then die down. Others grow and grow in numbers, but they are attracting people for entertainment or because their standards are lax, and people are not being discipled. Notice that verse 13 gives the correct measurement of real growth: “a stature measured by Christ’s fullness.” That is our measurement of growth: are we like Christ? If our budget grows but we spend our budget on a bowling alley for church members instead of helping the hurting and sharing the gospel, we may be growing in numbers but not in Christ-likeness. Healthy churches measure growth by being more like Christ. Another great sign of a healthy church is that the Bible is so consistently taught, that the members aren’t tricked by heresy and false teaching. If some clever teacher comes into the church and tries to lead people astray, a healthy church recognizes it right away and puts a stop to it. A decade ago, we had a powerful wind storm blow an oak tree on our youth building. The tree had shallow roots, and when the winds came, it fell. A healthy church that teaches the Bible is like a healthy tree with deep roots. It doesn’t fall under the pressure of false teaching. Healthy churches have honest and loving relationships. “Speaking the truth in love” means that we are honest with each other, we speak the truth, but we are also loving when we do it. We don’t just try to please each other. If something’s wrong, we deal with it, but we always seek to deal with it in love. That’s challenging, but it’s vital to having a healthy church. A healthy church is a place where people speak the truth in love. Relationships are honest and loving. We don’t play games or try to please people, but we go out of our way to love people. Many people think that it doesn’t matter if they are involved in the church or not, that the church won’t miss them if they are gone. Nothing could be farther from the truth. A healthy church is a church where misfits can fit in. A healthy church is a place where the displaced can find a place. This world is in desperate need of healthy churches in every community. Christian, are you allowing God’s Spirit to work through you to make and keep your church healthy? In 1845, the Southern Baptist Convention (SBC) was organized in Augusta, Georgia, just a couple hours’ drive north of where I now live. However, we’ve come a long way since then, not just in miles or time. In 1845, one of the main reasons why Southern Baptists split from the North was that the SBC wanted to appoint slaveholders as missionaries. Today, many SBC churches are integrated, including my own, African-American pastor Fred Luter is our vice-president, and Luter will probably be elected president this year at the convention meeting in New Orleans. In 1845, all of our churches were in the South. Today, we are still concentrated in the South, but we have churches in all 50 states. One of our largest churches is in California. I have mixed feelings about this recommendation. Although this is not officially a name change proposal, it could lead to name “erosion” and confusion. Imagine two Baptists who meet and ask about each other’s churches. One says, “I’m a Southern Baptist.” The other says, “I’m a Great Commission Baptist.” They have no idea their churches are affiliated with one another. How does that unify us? While the name “Southern Baptist” is negative for some, it has positive connotations for others, such as those who received assistance in SBC disaster relief efforts after 9/11 and Hurricane Katrina, and for millions who found faith and Christian nurture in an SBC church. I am a Southerner, but I grew up an Army chaplain’s son, and lived outside the South, as well. I remember that while attending a Southern Baptist church on Staten Island, New York, that “Southern” was not considered helpful to evangelism. After all, what New Yorker wants to join a “Southern” church? 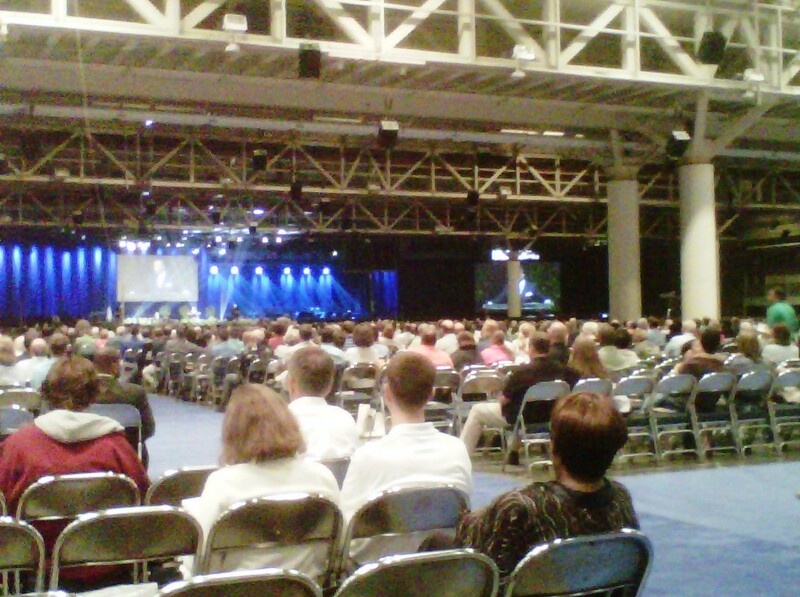 However, the church simply used the name “Baptist,” just as most SBC churches do in the South, including my own. My former youth minister, Jason McNair, who now serves in the Utah-Idaho convention, feels that a name change is a waste of time and energy and doesn’t address the most important issues. If we earn a good reputation, people don’t care as much about the name. The Lutheran Church-Missouri Synod is the name of a conservative Lutheran denomination. Lutherans looking for a conservative church are glad to find a church by that name, even if they are not in Missouri. It’s not the name that matters; it’s the reputation behind the name. After all, New York Life Insurance sells in Georgia, and Kentucky Fried Chicken sells in California. Cathy makes an important point about the “used to” and “nowadays” of the Southern Baptist name. Although the name remained the same, the name gained a new reputation over the years, as Southern Baptists repented of the racial sins of the past and many SBC churches opened their doors to all races. And here is the key: we must be known for what we are for instead of what we are against. Too often we are known as those people who boycott Disney and hate gays. We should be known as the people who love all people (gays included) enough to show them how to change. Our logo says it all. The cross, Bible and globe show what we are for: the gospel of forgiveness by faith in Jesus’ death on the cross, faithfulness to the Bible, and sharing this good news with the whole world. If we are known for these things, we will please our Lord, whatever name we choose to use. I may vote in favor of the recommendation, since it keeps the legal name and only encourages those who already don’t want to use the SBC name to at least use the same name (“Great Commission Baptist”). But for me, the bottom line is, that it’s far more important for us to change our ways than to change our name. Official recommendation from the task force on a name change. by Ed Stetzer, researcher with LifeWay Christian Resources, favors a name change, but feels changing our actions is more important. Many comments on his blog, many of them with objections to the name change. Today, Monday, October 24, the church youth group from Centre Evangelique Protestant of Colombes France had a busy day visiting local schools in Rincon, Georgia. On Monday morning, they visited Effingham Christian School. The French students sang and shared, and the American students asked questions about life and religion in France. The rest of the morning and in the afternoon, the French students visited Ebenezer Middle School, a public school north of Rincon. They visited many classes and answered many questions about French culture. They also sang Christian songs in French. At both schools, the French students were able to invite students to visit the youth rally on Wednesday night at First Baptist Church of Rincon. Pastor Thierry says that they experienced a warm welcome in both schools and were very happy by how friendly everybody was. He also was impressed with the modern equipment and how clean the schools were. He said that he could tell the students showed respect for their school.